Malocclusion, known simply as a “bad bite”, might be the culprit of a number of conditions like migraine headaches, clicking sounds in the jaw joint, vertigo, and ear pain or itching. When your teeth line up incorrectly — whether it is via incorrect dental treatment, getting your dad’s dental genes, an unhealthy lifestyle or accidental oral trauma — it can make your life awful. The good news is, malocclusion is curable. Some 60 million Americans currently have Temporomandibular Joint Syndrome (TMJS). For many years, the idea that a migraine headache was linked to the jaw joint had not been given serious attention. Now however, the medical and dental communities are both of the opinion that TMJS and chronic headaches/migraines are linked. In fact, many individuals saw many doctors on the medical merry-go-round before they eventually came to our practice, frequently as a final option. That is due to the fact that many people do not know that their particular symptoms are associated with malocclusion. A study from the University of Pennsylvania School of Dental Medicine evaluated the presence of Temporomandibular Joint Disorder (TMJD) in 24 individuals referred to a neurology clinic. 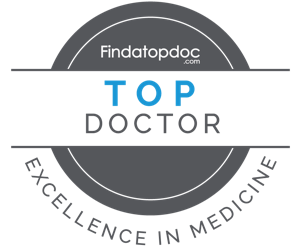 The objective was to figure out the amount of sufferers referred to the clinic for headache where TMJD is the number one source of pain. They determined that 11 of the 24 sufferers with headache had TMJD. That percentage, nearly fifty percent is regarded as a very high proportion when compared to the 15% in the general population of TMJD sufferers. As scientific opinion continues to mount on the link involving headaches and TMJD, individuals who feel they may have this problem should talk with Dr. Peck. He has taken advanced training in this treatment. Some other seemingly unrelated symptoms include aching in your back, neck or shoulder. While discomfort in the upper body might seem unrelated to the temporomandibular jaw joint, individuals suffering from an unbalanced bite are prone to tilt their heads again and again, compelling the muscles of the back, neck and shoulders to compensate. Tingling or numbness in the hands and arms might also indicate TMJ disorder. This results from nerves in your arms and hands being squeezed by muscle spasms in the neck, shoulders and face. And, finally, you may suffer from depression because of the never-ending aches and pains. If you experienced any of these symptoms, speak to any staff member. Our own treatment usually consists of zero pills, no shots, no surgical procedures, and no adverse reactions. We can deal with these difficulties because they are more than likely a result of clenching your teeth when you’re asleep and sometimes throughout the day. When you clench your teeth, you utilize a number of the strongest muscles in the human body. These high-intensity contractions of said strong muscles turn out to be painful and the forces created cause pain in bordering tissues, joints, along with other muscles. Almost all dental treatment to relieve malocclusion requires the usage of a splint, or an oral device that temporarily alters the bite. In more serious instances, Dr. Peck could recommend a long-lasting change in the bite using tooth replacement, shifting teeth with orthodontic therapy, or possibly a combination of bonding and crowns or veneers. For numerous individuals, the outcomes were successful and their return to a pain-free level has provided these people one more chance for a considerably more rewarding life.